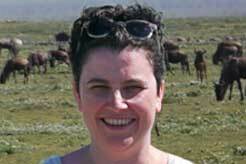 Why visit Andasibe-Mantadia National Park? This is a popular tourist destination, easily accessible from Tana all year round, and a good place to spot 14 different varieties of lemurs, including the charismatic Indri, the world’s largest lemur. Explore the lush, humid forest, and search for the stunning orchids that bloom here between September and January. Look out for lemurs! You’ll find a wide variety in addition to the famous Indri, including aye-aye, red mouse lemur and black and white ruffled lemur. Listen out for the distinctive song of the Indri echoing through the forests throughout the day. Go birding ”“ the park is home to over 100 species, including the Madagascar serpent eagle. Trek past sacred waterfalls or bathe in natural pools. Take a night tour and watch the forest come to life as the nocturnal animals wake up. This is rainforest, so naturally it’s humid, but it’s not overly hot, with average temperatures 18-20Â°C ”“ and cooler at night ”“ all year-round. The cyclone season (January to March) is not really recommended. Many wildlife species (not lemurs) hibernate during May and June. 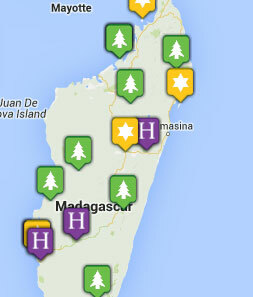 July to October is high season in Madagascar and great for wildlife. Baby lemurs are born in October to November, and the best birding and amphibian watching months are November and December, which are also two of the hottest months. But whenever you visit, bring waterproof clothing! It is relatively easy to reach the park, the entrance is a couple of kilometres from the main road which connects Tana to Tamatave. The drive from Tana will take 3-4 hours or 5-6 from Tamatave. 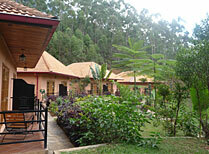 Vakona Forest Lodge is a popular option as it lies between the two parts of the park, Andasibe and Mantadia. If you wish to stay just outside the park then Andasibe Hotel and Iniri Lodge both offer a good standard of accommodation in peaceful settings. A modern hotel with good facilities, located just a 10-minute drive from the entrance to Andasibe National Park. 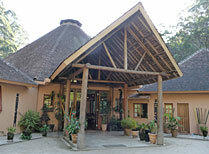 Cottage-style accommodation in a peaceful setting within a short drive of Andasibe-Mantadia National Park. 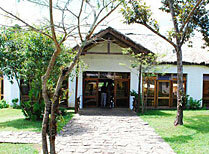 Vakona is a good quality lodge in a beautiful forested position in a valley, with bungalow-style accommodation.